Better late than never, right?! I started this two part post back in November around Thanksgiving and well…things got crazy and I actually forgot that I never finished it. Until…this morning. So here we go! This costume was relatively easy, I promise. 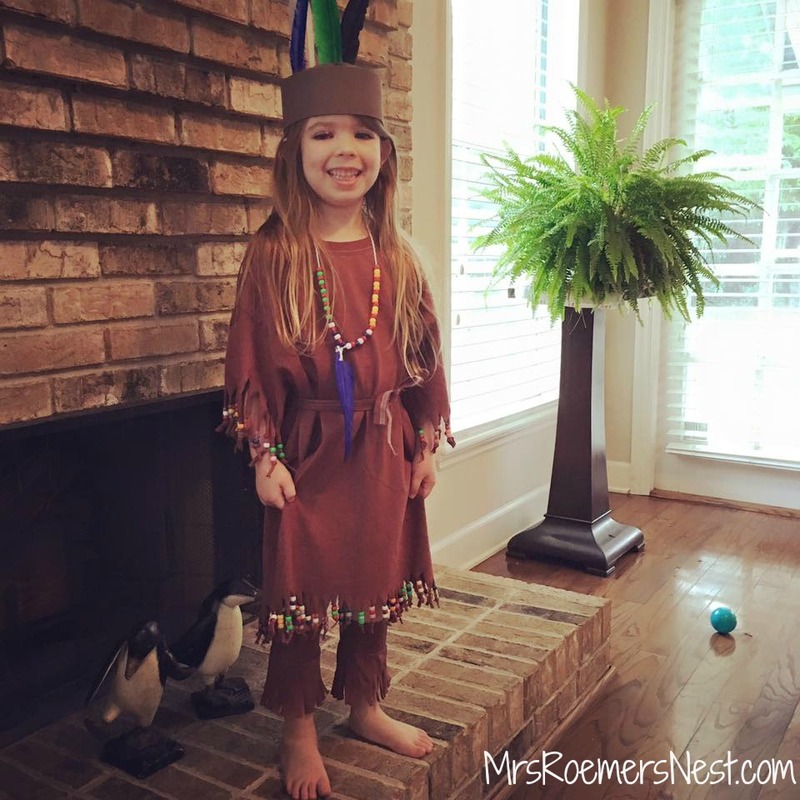 My oldest had a Thanksgiving day feast in November and the classroom was divided into Pilgrims and Indians. 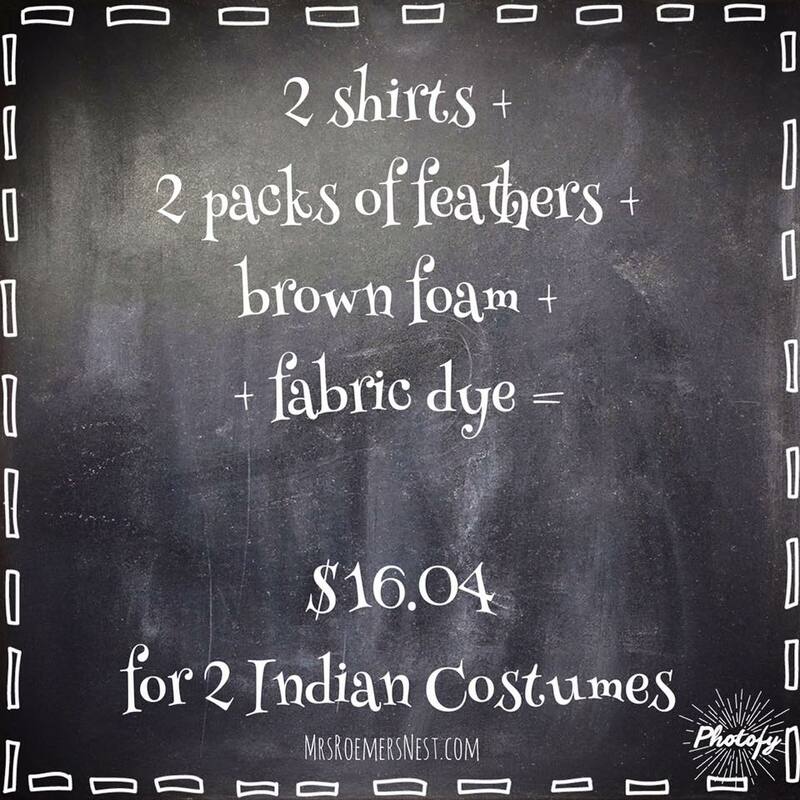 My girl needed an Indian costume quick! I really didn’t want to buy yet another costume and I had this giant bag of beads leftover from a previous project. I had to make it work somehow. So off to Pinterest I went. 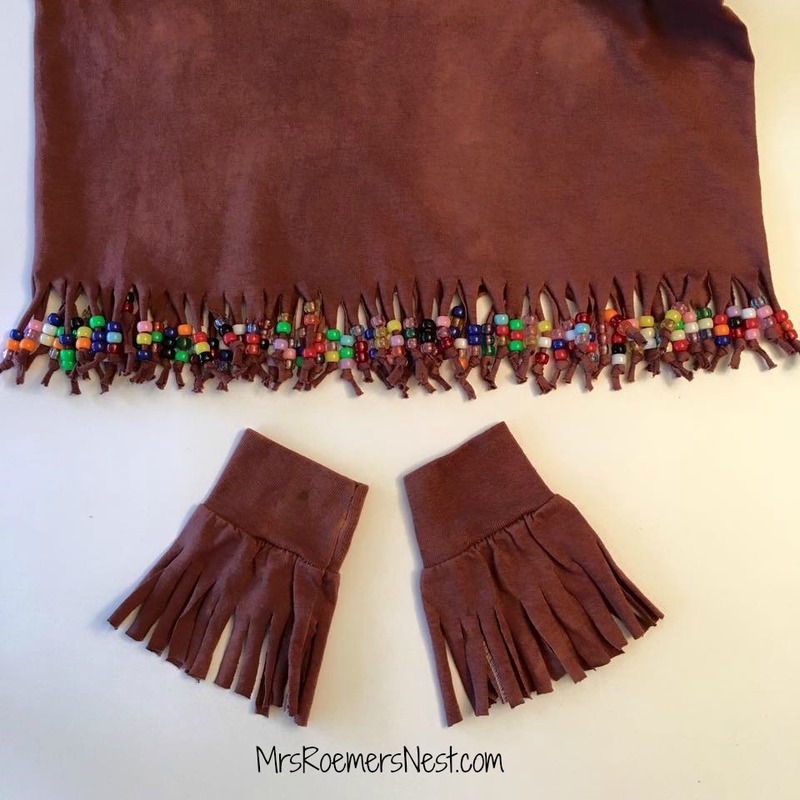 This post from Playdates & Pearls caught my eye and it gave me the inspiration to go ahead confidently and make one. 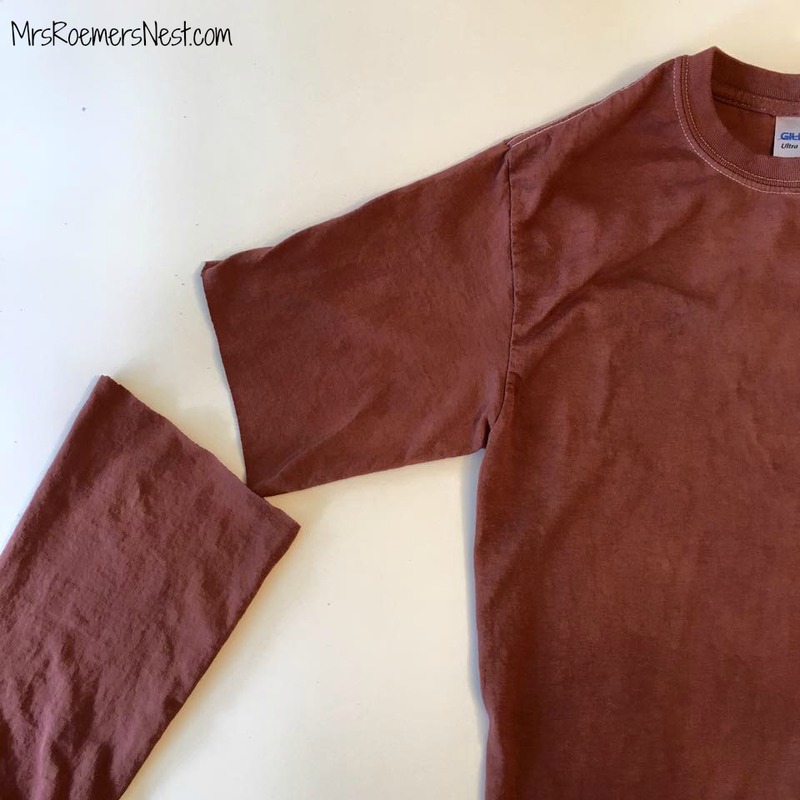 In my last post, I showed how I dyed, washed and dried the shirt. 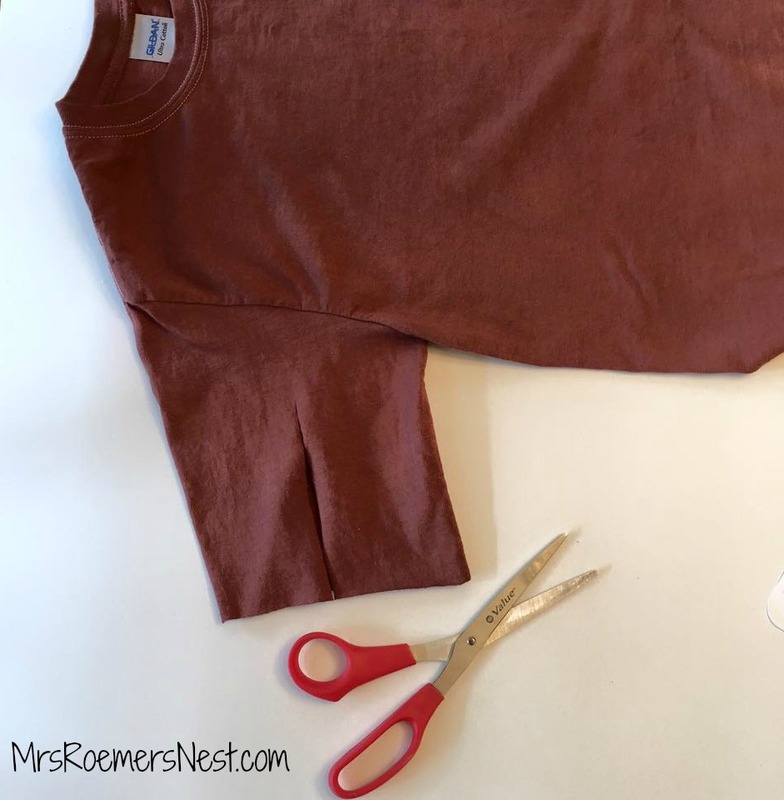 After the shirt dried, I cut the long sleeves off to make a short sleeve shirt. I purposely bought long sleeves because I will use the cut parts for the costume. 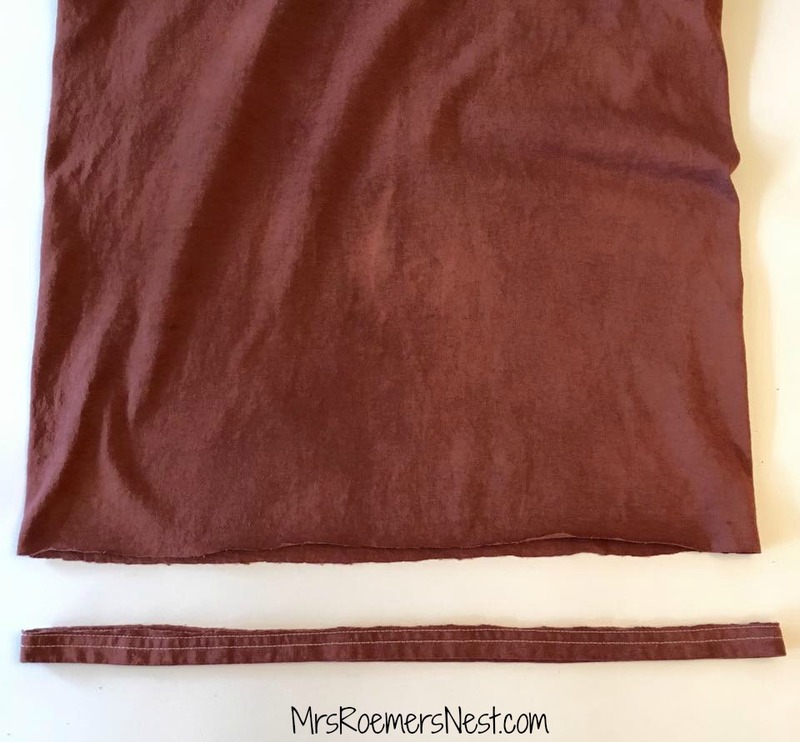 Then I cut the bottom hem of the shirt completely off and saved it to use later as well. 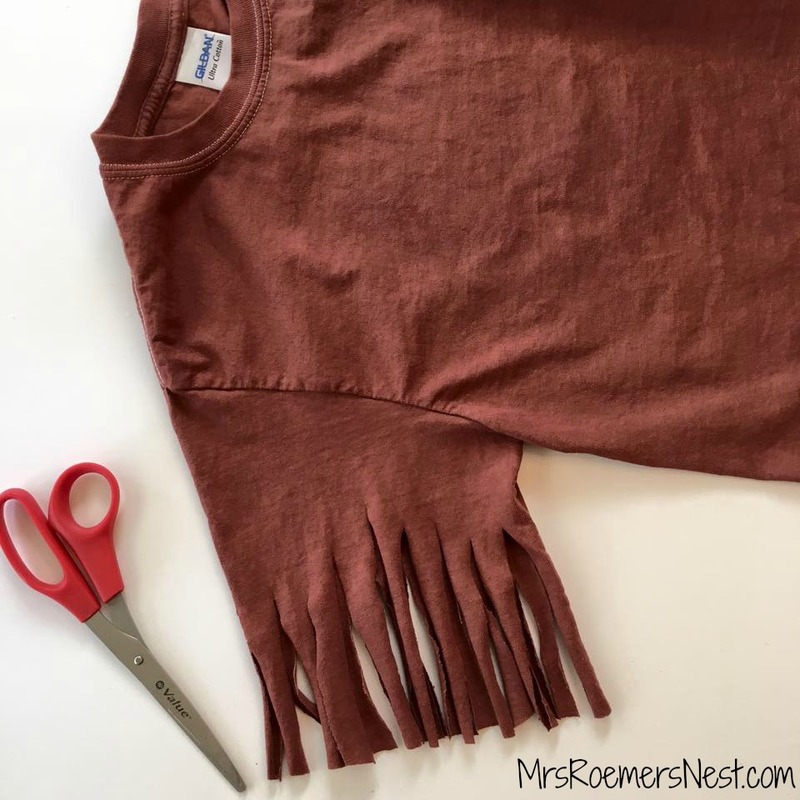 I cut fringes all around both short sleeves. They were about 1/2 inch wide and 3 inches long. 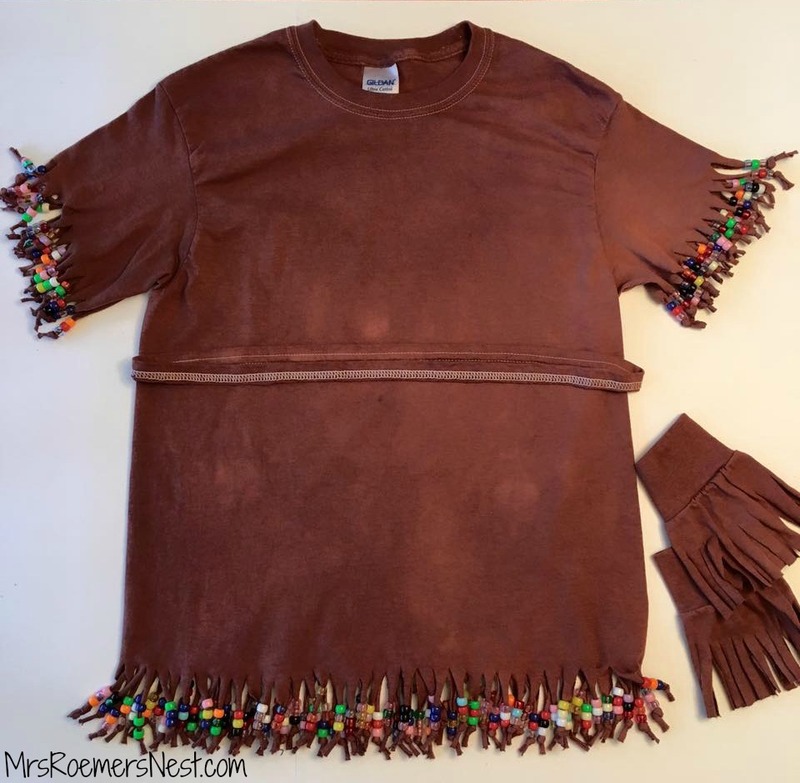 I needed to make sure there was enough room for beads and to tie a knot after the fringe was beaded. 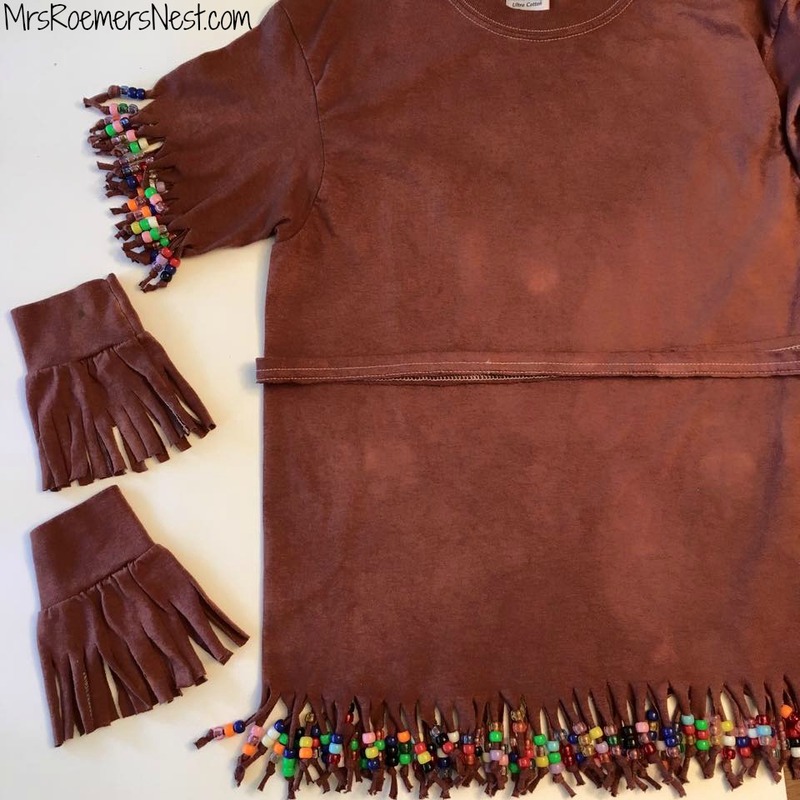 Then I cut the same size fringes all along the bottom of the shirt. I cut the long sleeves so that I had about 4-5 inches of fabric past the cuff. I was originally thinking that my daughter could wear these on her wrists but then thought it would look cuter (and stay on longer) if she wore them on her legs. Thank you for the idea, Samantha! And here’s the final picture! 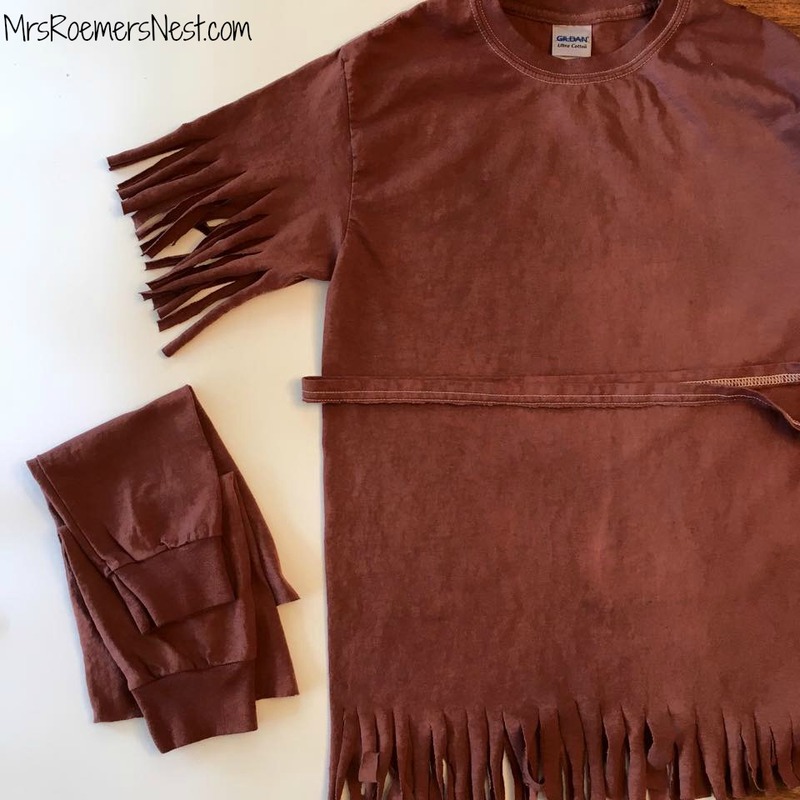 I used the bottom hem that I cut off to tie around my daughter’s waist as a belt. We also made a headband out of the foam and stapled the feathers on the back which she actually wore all day at school! The necklace was her idea and she thought it would look “fashionable” if a feather was added. I did all the fabric dyeing and cutting and she did all the beading. I had to tie the knots for her after the beads were on. This an inexpensive and relatively easy craft to do WITH your child for Halloween, a school party or just for some good old fashioned fun! I hope you enjoyed my project with my girl! 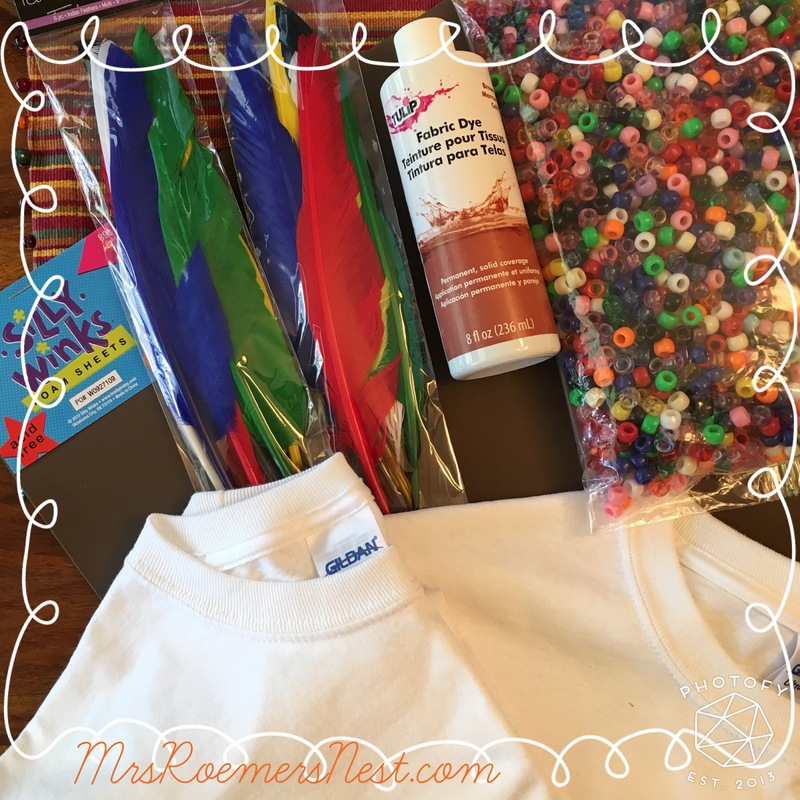 Now go get crafty with your kids and make sure to send me a picture so I can see what you’re up to!